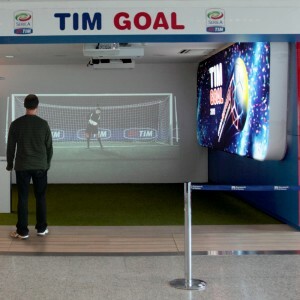 The implementation of an interactive football system has been required by FutureBrand, Mc Cann group’s advertising agency, for its client TIM in order to highlight its clients’ Italian football “Serie A” (Premier League) partner position, and its technological state of mind. This project, called TIMGOAL, will be implemented at the Fiumicino Airport in Rome. It will be combined to a contest and its final award winner will be drawn from the players, registered in a certified database, with the greatest number of points. 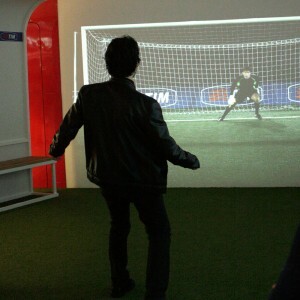 Vimage has developed a highly immersive interactive system inviting the Roman terminal’s visitor to challenge the Italian national football team’s goalkeeper, Gigi Buffon, with their goal shooting. More specifically, this system is made of wall and floor integrated projections in which every detail, from the size to the ball’s effect once hit, has been taken care of with great precision. 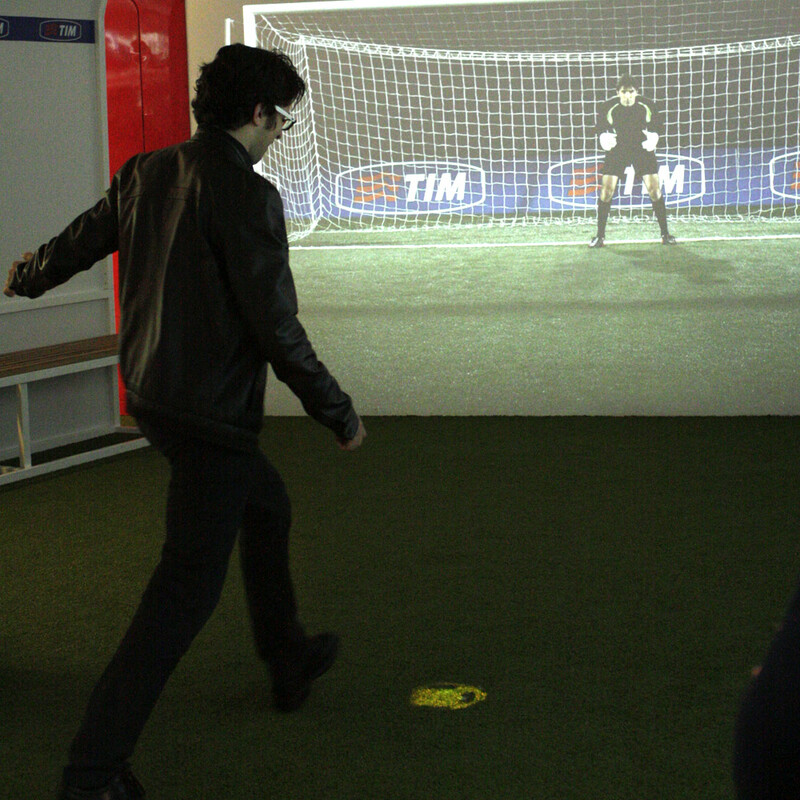 To make the game even more realistic, Buffon has given himself to save several penalty shots while two HD cameras were filming his moves and expressions. An extremely advanced technology has been used to create this virtual space. The interaction between the player and the goalkeeper is more realistic because the used technology is based on a 3D space mapping: the game is almost turned into a real life experience. A large number of people have been attracted into the store presenting this system. In parallel, the brand’s appeal has been increased for the airport’s clients, therefore the prospect traffic as well, and, as an automatic consequence, the sales figures. The users have majorly been involved by the installation: they found themselves living the “Serie A” emotions and sharing their impressions in this regard on social medias given birth to some kind of viral effect. 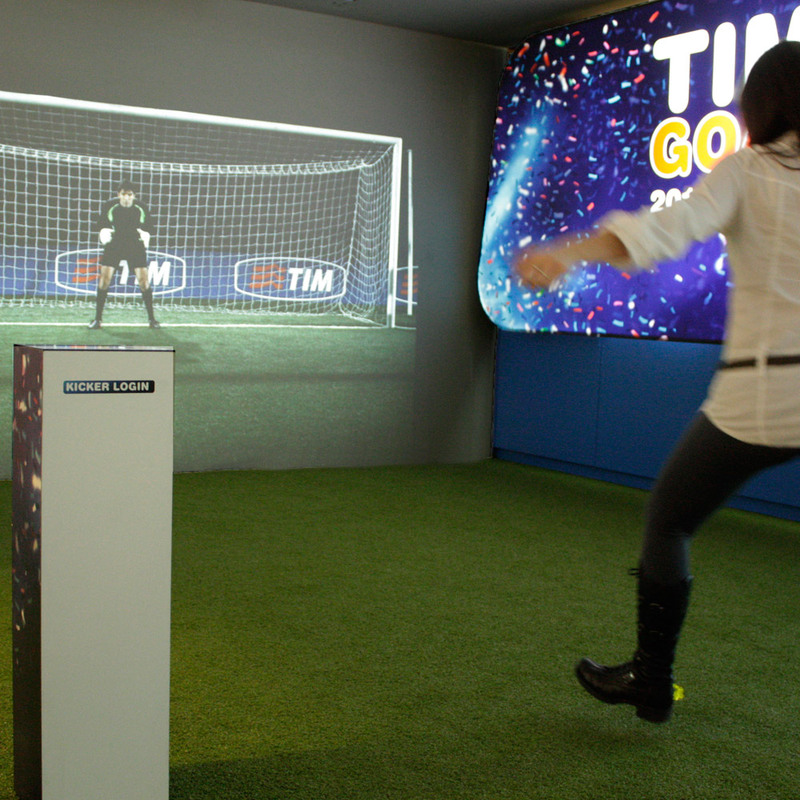 The brand has not only been associated to its sponsor of the Italian football position, but also to a strong technological image.